Trails and Travelogues: Brookside Gardens - A Random Visit! Brookside Gardens - A Random Visit! Brookside Gardens located in Wheaton, Maryland at Glenallan Ave., is worth the visit every spring, because the garden is always rich in colorful blooms from January to December. In the winter (Dec.-Feb.), there might be a limit of plants to be seen depending on the snow and really below freezing temperatures, but still they have plants that thrive like paperback maple which has interesting bark, hollies and flowers such as snowdrops, lenten roses, witchhazel and winter jasmine. But still you can see four regular seasonal displays and exhibits throughout the year inside the conservatories of the garden. ;) You can discover more about the additional garden features when you visit. It's a nice experience discovering them with your own eyes while admiring the floral beauty and nature at the same time. 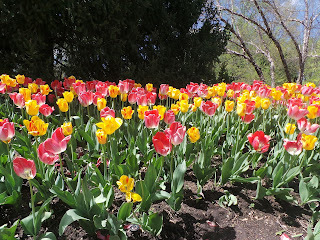 Spring season is probably one of the busiest season in the garden as it becomes crowded due to the colorful tulips! 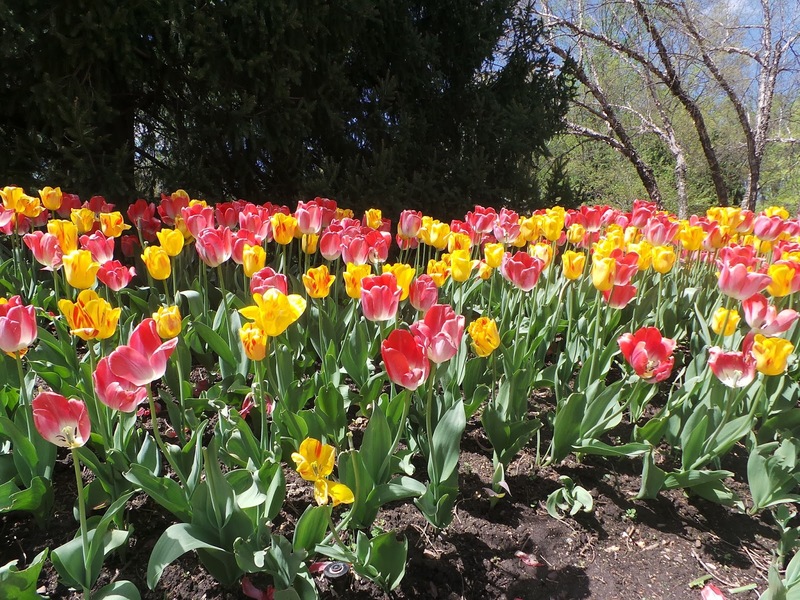 It's a common instinct for many that spring is the season for the most colorful blooms in the gardens, where many various florals are at their peak blooms. Brookside Gardens spans almost 50 acres wide, and was opened as early as 1969 with gardens that surround the conservatories, offices and library. In the later years, many gardens were added along with additional features and wider landscapes complemented by changing displays of interesting and new plants and gardens every change of the season. I've visited various botanical gardens in various places, and although I find Brookside Gardens a bit smaller in area than others, the entrance is FREE! Bigger gardens with really super huge acres usually have entrance fees.